Just like Mary Poppins "practically perfect in every way"
Kim Riley has been working at Westlake High School since 2000. She teaches the science elective Anatomy & Physiology. 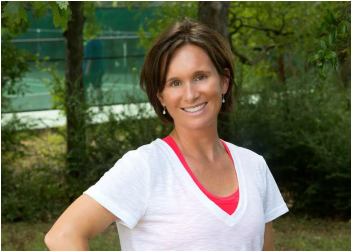 Along with her teaching duties she is also the Head Tennis Coach for WHS. Coach Riley obtained her undergraduate degree from Ithaca College in New York and her Master's from Texas State University. She is originally from upstate NY but considers Austin her permanent home. Her husband, Scott, is a physical therapist in Bastrop and she has two kids, Erin & Jack. Although Coach Riley is busy with her two kids she enjoys golfing and shopping in her spare time.